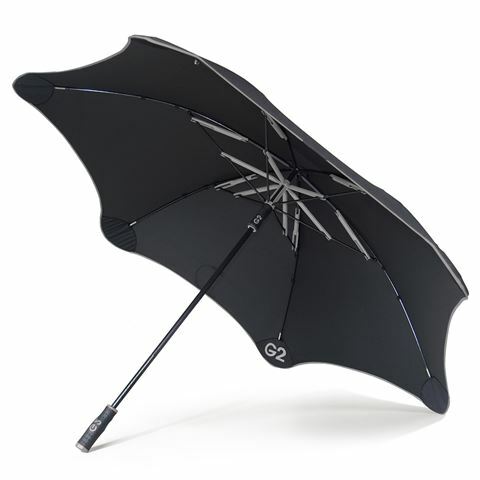 Say hello to your new favourite golf umbrella… The Golf G2 is Blunt’s best-performance golfing umbrella, with a massive coverage to keep both you and your gear dry. Specifically designed to go on your golf buggy, it’s also accompanied by a stylish carry sleeve. Smooth opening operation and soft-grip handles. Includes a stylish carrying sleeve with a shoulder sling. Designed to attach to golf buggies. Diameter: 146cm (13360 cm² coverage).